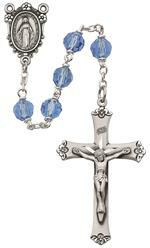 The Holy Hour is centered upon the Rosary and the intention for our own purification and that of the whole Church. It would also be good to spend fifteen minutes of silent meditation and self-examination with the intention that we might receive the light and grace to see where the Church and our individual lives are in need of purification. And since this necessarily involves both what we believe and how we live (Faith and Charity), a reading of both the Apostles Creed and the Beatitudes (by a priest, religious, or designated lay person) would seem singularly appropriate as an introduction to this period of silence. Statement of Intention: For the Interior Purification of the Church and Ourselves. and I look forward to the resurrection of the dead and the life of the world to come. Amen. Be glad and rejoice, for your reward is very great in heaven. For so they persecuted the prophets that were before you. If there is time, we might close with the Litany of the Immaculate Heart of Mary. Or, there is a beautiful prayer to be found in the meditation on the Feast of the Purification from Father Gabriel of St. Mary Magdalen’s Divine Intimacy. It could be prayed either before the period of silence (after the recitation of the Beatitudes), or at the end of the Holy Hour. 2. If this Holy Hour occurs with Exposition, it will of course be accompanied by the necessary prayers. Please spread the word about the Rosary!